An earlier version of the life history of the Malay Viscount can be found by clicking this link. Local Caterpillar Host Plants: Palaquium obovatum (Sapotaceae), Pouteria obovata (Sapotaceae), Adinandra dumosa (Theaceae, common name: Tiup-Tiup). 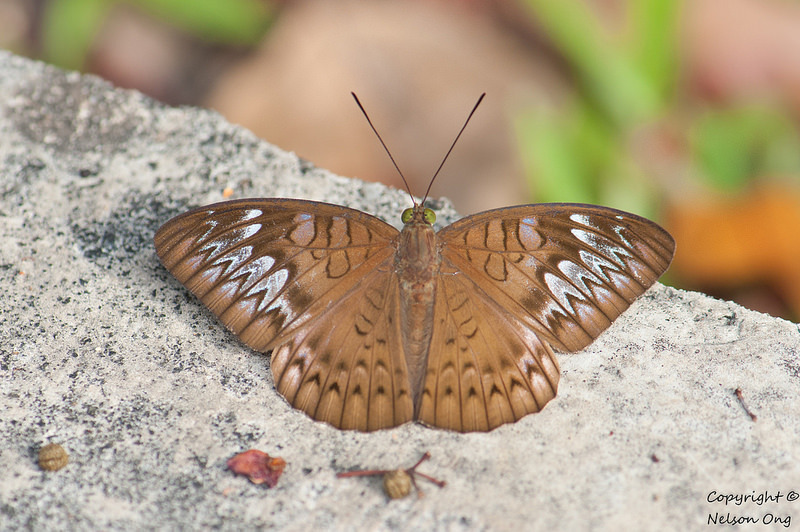 A male Malay Viscount puddling on wet ground. On the upperside, the wings are pale greyish ochreous brown with submarginal arrow-shaped markings. 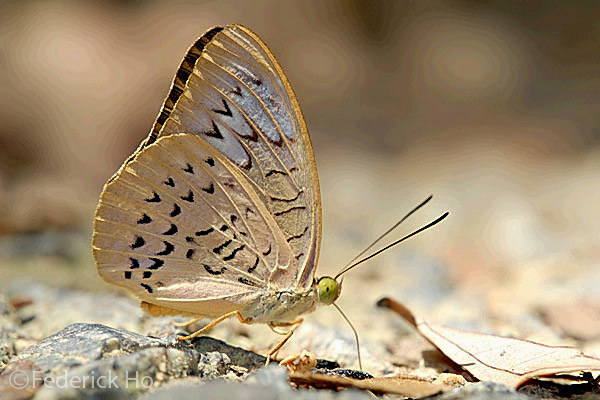 On the forewing, these markings are embedded in large, whitish spots. 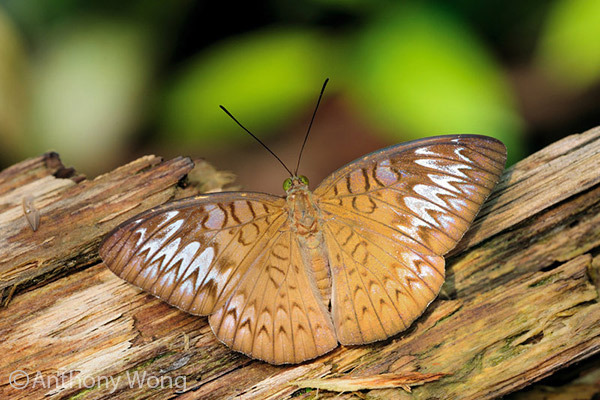 On the underside , the wings are paler brown with a faint trace of violet in a side light. The two sexes can be distinguished in the hindwing: the male has two submarginal rows of small distinct, black V-shaped markings, whilst those in the female are very obscure and conjoint. A male Malay Viscount enjoying the ripened fruit of the Singapore Rhododendron. 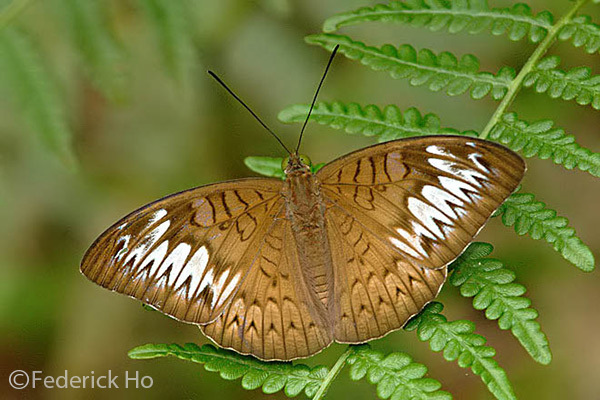 The Malay Viscount is rather common in Singapore. They are mainly found in the nature reserves, but at times adults can be seen flying in other forested areas. 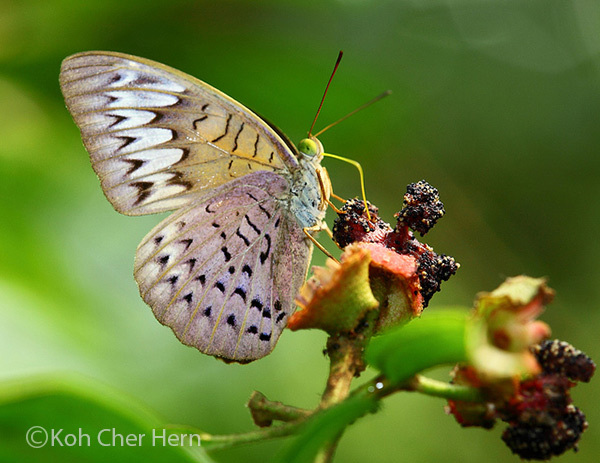 Both sexes have the habit of resting on perches with wings open, and visiting flowers/ripened fruits on flowering/fruiting trees in their habitat. The male have been observed to puddle on damp ground and on fallen (and rotting) fruits. The adults are skittish and readily take flight when disturbed.